One of the best parts of working in a preschool is the opportunity to work closely with an interdisciplinary team. 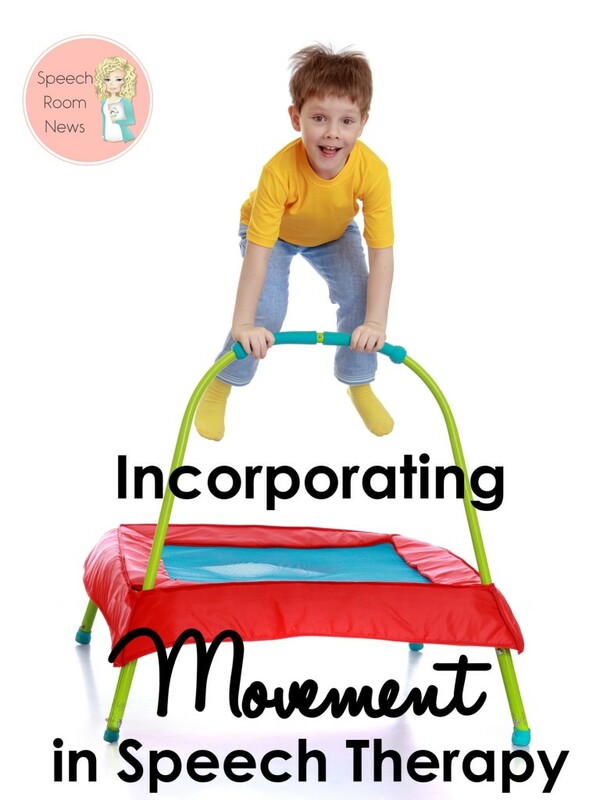 Working with Occupational Therapists and Early Childhood Intervention Specialists has given me a lot of ideas for incorporating movement with my preschoolers. As part of circle time, my teachers incorporate movement activities. 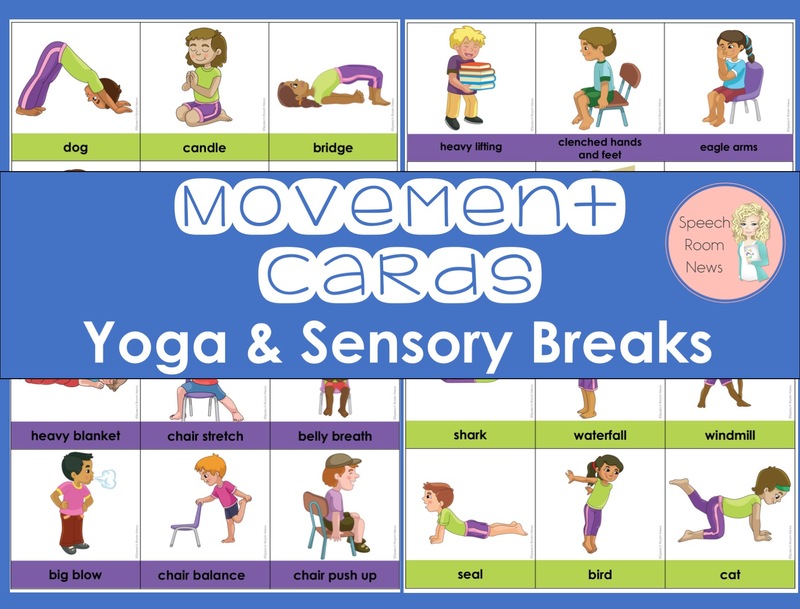 OTs incorporate sensory breaks into a sensory diet for many of my students. All of these different strategies help my students have their bodies ready to learn. I tend to use sensory breaks before we start our speech time. This really helps the students focus for longer periods of time. Sometimes we work and use the sensory break activity as a reward part way through. This works especially well with things like the trampoline or swing. My classroom teachers have implemented Yoga into their daily routines. They use it before each group time or when they notice the kids are having difficulty remaining engaged during circle. The kids love it and it’s a great way get them focused and settled. For for information on Sensory Diets here is a quick guide. 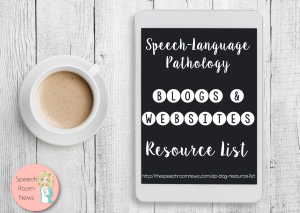 For more information on the benefits for Yoga in Speech Therapy check out this list from Say It Right. I wanted to move some visuals to support the use of both Sensory Breaks and Yoga during our speech time. I made these cards to keep in my therapy cart and use as needed! 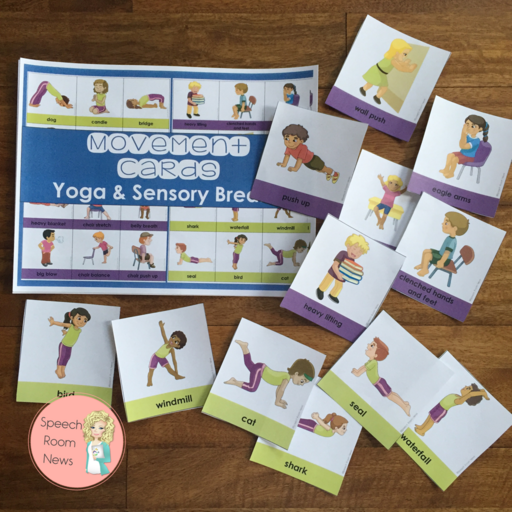 There are both yoga poses (in child-friendly language) and sensory break cards included. The Movement Cards are available in my store. 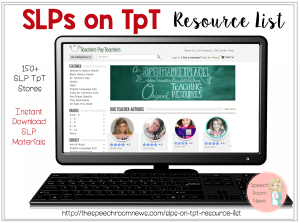 If you use them, let me know what you think! 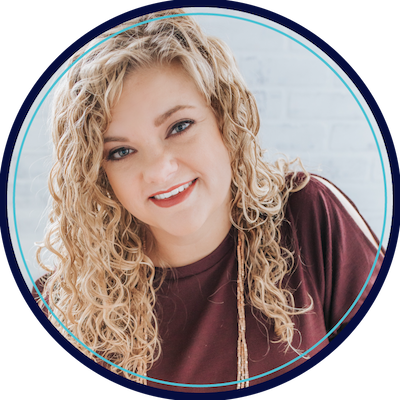 Do you use sensory breaks and yoga in your therapy? How do you find it most beneficial? Jenna ALL of your materials are AMAZING!!! You have saved me MANY hours of planning!!! I am VERY grateful for your activities and creativity!!! I would love to use these movement cards, however the link does not work and I cannot find them in your store. Can you direct me on how to find a set?